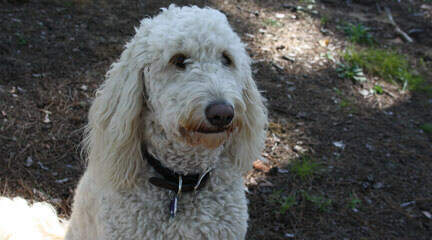 Erin and Megan began breeding the Multigenerational Australian Labradoodles in 2009. This mother/daughter team has a combined experience of almost 75 years of breeding animals with top breeding and show programs in alpacas, rabbits, dogs, goats, and sheep. Erin has an Master in Business Administration. Megan has a B.A. in Animal Sciences and minor in Genetics from North Carolina State University. 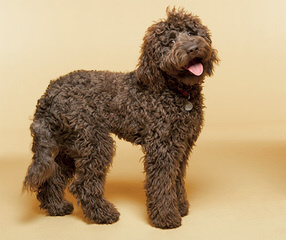 Our labradoodles are a minimum of fifth generation (many over 7 or 8 generations). Our dogs range in size from 20 to 45 pounds. The colors in our program include black, chocolate, cream, red, apricot, parti, etc. We are focused on breeding for form, function, and temperament, and we very carefully select all of our breeding stock. We strive to have very satisfied customers. We want every dog to have a loving home, and for every home to have a dog they love! 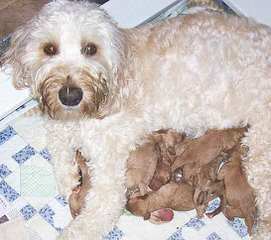 My name is Nikki and my husband, Frank, and our five children together raise first generation labradoodles. We breed one litter at a time. We breed a few litters of labradoodles each year with the intention of bringing strong, intelligent, healthy, happy companions into the world and people’s lives. I hope to bring the confidence and independence that Zeus gives me to others. Zeus is a seizure alert dog and can sense mine coming about 15 minutes beforehand. His father also has this gift. I breed in the hopes to continue these lines for the safety, comfort, and independence they bring people like me. 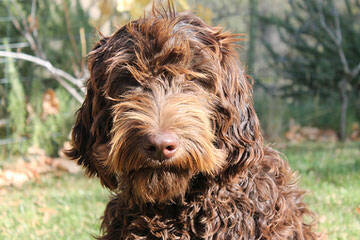 Experienced in-home breeders of quality Multi-gen Australian Labradoodles. We proudly stand behind all our pups with a 2 year health guarantee. 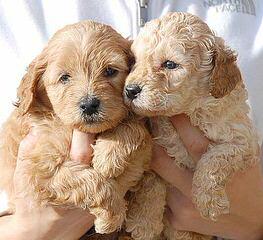 Miracle Ranch Labradoodles breeds Australian Labradoodle & Multigenerational Labradoodle puppies. We have puppies available in three sizes: Miniature, Medium, and Standard. 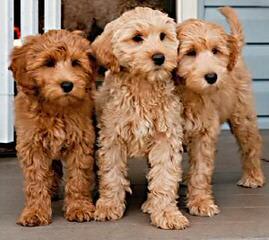 Our labradoodle puppies are born in a variety of colors…. Red, Caramel, Apricot/Gold, Chocolate, Cream, Parti, Black, & the occasional Phantom. Exceptional temperament and health, combined with the allergy friendly, soft, silky fleece coat is what we breed for. We want you to count on your puppy to be fun-loving, easy to train, and to enrich the lives of your family and circle of friends. Since we have two homes our Vets in both the Atlanta, Ga. and SW Florida areas, have been taking good care of our doodles for years and would gladly recommend us. Puppies are whelped and raised in our home, and are surrounded by everyday family activity and sounds from the day they are born. Our reputation has been built over many years and we strive to make your experience with Memory Lake and the puppy we raise for your family is positive and rewarding. We do not operate kennels. Our dogs live in our home or an approved guardian home. We strongly believe that every dog deserves their own home and family, and does not deserve to be raised in a kennel environment with numerous other dogs. Our dogs raised in guardian homes come to us for breeding, grooming and then again for the whelping/raising of their puppies, then return home to their family. You can view our puppies being born on live cams and live viewing continues during the first 4 weeks of life. Then they are ready for a larger indoor play area that leads to an outdoor puppy play yard complete with playhouse, tunnel, slide, rocks and lots of room to run and play outdoors with their Momma and other doodles too. 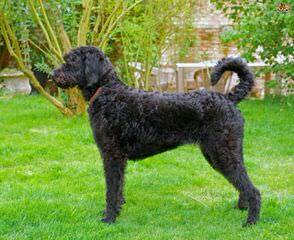 All our multi generation labradoodle breeding stock are tested and registered under the guidelines of the ALAA. We only have a few litters each year so availability is limited, we recommend securing your place on a puppy list. We offer a 2 year health guarantee and life time support. Please visit our website for the latest information on our upcoming litters. 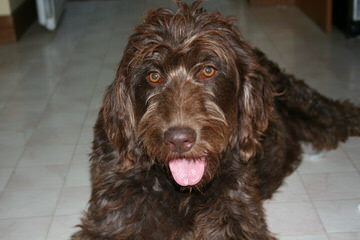 We are a small home-based hobby breeder of quality standard-sized F1B, and occasional F1 Labradoodle puppies. 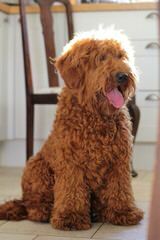 We only breed for the enjoyment of the puppies and to further promote Labradoodles that are of excellent health, conformation, and temperament. 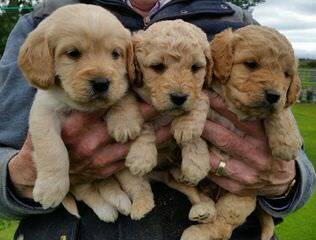 Our Labradoodle puppies are bred with responsibility and integrity, our goal is to place these special dogs into homes where they will be loved and cherished companions. We stand behind you, and offer continuous support. We do this because we love the dogs, and the Labradoodle breed. 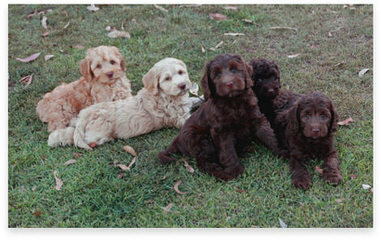 Australian Multi-generation Labradoodles in Mini, Medium and Standard sizes. Total non-shedding, non-dander puppies, in Choclate/White Parti, Chocolate, Cream, Carmel. 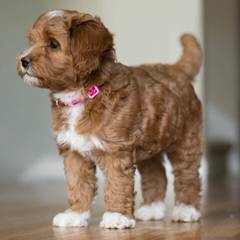 Premium Aussiedoodle and Labradoodle breeder in Washington State. Happy, Healthy, Home raised puppies. Trained puppies and Breeding stock. No kennels. Family run breeding program. Rocky Mountain Labradoodles is a registered ALAA (Australian Labradoodle Association of America) labradoodle breeder located at the heart of the Rockies in Salida, Colorado. 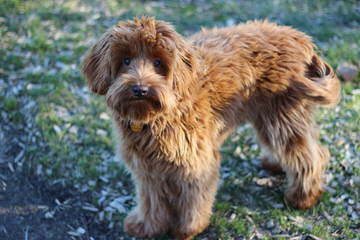 We specialize in standard and medium size Australian Labradoodles. 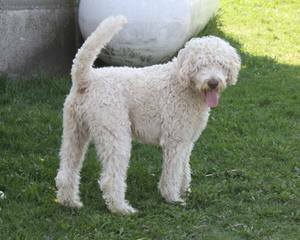 Our goal is to produce the best quality labradoodles The goal of Rocky Mountain Labradoodles is to breed exceptional labradoodles to carry on the traits that make this breed so wonderful. 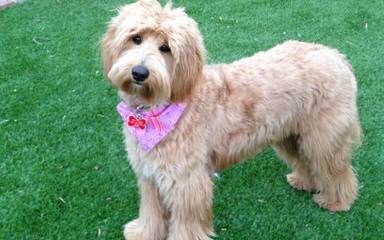 All our breeding labradoodles are extensively health tested for genetic defects and general health. They are chosen for their intelligence, good disposition, allergy friendly coat quality, and overall composition. 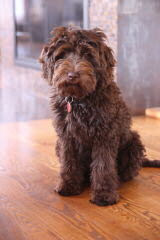 Our labradoodles are part of the family and live as pets in a loving home. Their litters are raised inside our home with plenty of love and attention. Puppies come with a two year health guarantee, ALAA registration, spayed/neutered, and microchip. 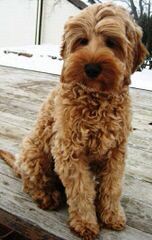 We adore our labradoodles and are proud to be a labradoodle breeder. 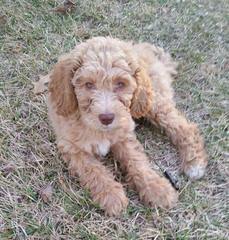 We are a small home-based hobby breeder of quality standard-sized F1B Labradoodle puppies. 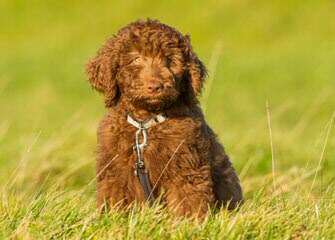 We only breed for the enjoyment of the puppies and to further promote Labradoodles that are of excellent health, conformation, and temperament. 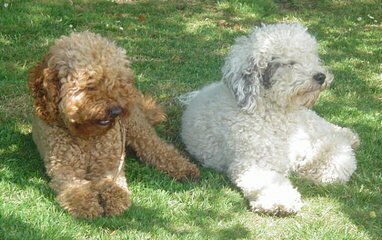 We offer home-raised, stunning labradoodles with non shedding fleece coats in all colors, including parti and phantom!! 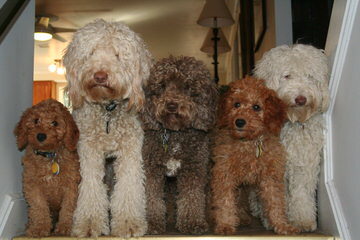 We breed mini, medium & standard Australian Laradoodles, in SE Michigan. No kennels here! We strive for heath and calm temperaments. All parents tested to Silver and Gold Paw level of the ALAA. 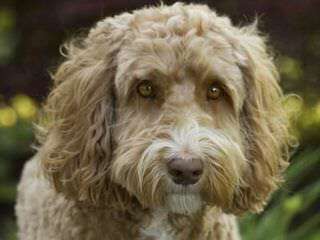 Please visit our site to find out more about making one of our labradoodles part of your family. Our dogs and puppies all live in our home to provide prime socialization. Puppies are vaccinated, microchiped, heath certificates provided, 2 yr health warranty, puppy pack & pedigrees. 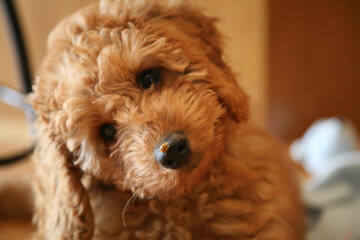 We are a profesional breeder of Australian labradoodle puppies. All out dogs are part of our family. All parents health tested, ofa and cerf. 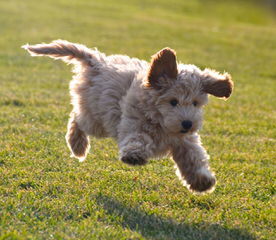 We breed miniature, medium and standard size labradoodle puppies. All colors, parti and phantom also. Puppies are ALAA registered. They come with a 2 year health guarante, micro chip and a life time of support. 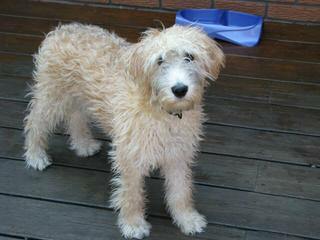 We are a small in-home breeder of the amazing Australian labradoodle. Our puppies are born and raised in our homes and will come to you healthy, well-socialized and much loved! Parents are health tested and puppies are vaccinated, microchipped, and crate trained. Please visit our website for additional information, photos and videos of the puppies. 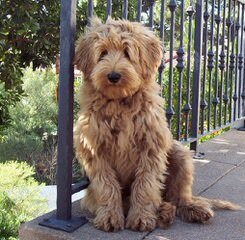 We are a small breeder of the wonderful Labradoodle and we want to be your connection for Texas Labradoodle puppies. 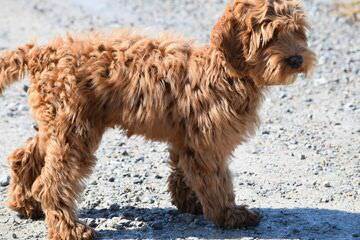 Our family offers healthy, multi-generational and Australian, allergy-friendly Labradoodle puppies with low shedding to non-shedding coats. 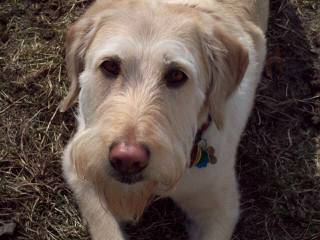 Labradoodles of Logan Ranch began from our family’s love of dogs. We always had dogs growing up and could not imagine raising our children without them. 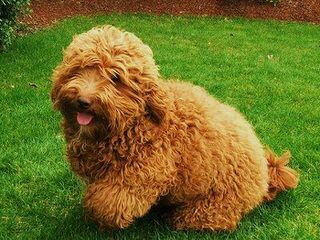 Once we were introduced to the fun loving, family oriented, allergy-friendly Labradoodle, we thought we had discovered the ultimate pet. After personal experiences with puppy mills, pet-stores and rescued animals, we considered our own breeding program. 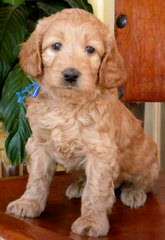 We wanted to offer the best Labradoodle puppies in Texas. 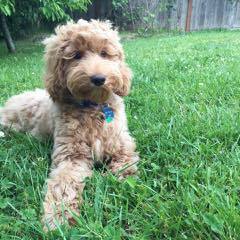 It was important to provide families with an alternative to puppy mills – home raised, healthy, well adjusted, labradoodle puppies with potty training well under way. That is our single-minded focus. 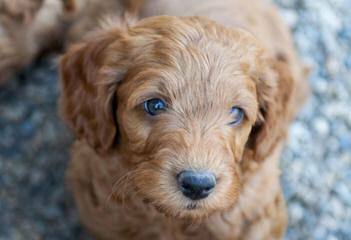 Labradoodles of Logan Ranch is a family affair; Patricia Murphy is joined by daughters, Sharon Lewis, Starla Moore and Melodie Harris in offering these adorable Labradoodle puppies to complete your family. We raise Labradoodles, Goldendoodles, and Shih-Poos. 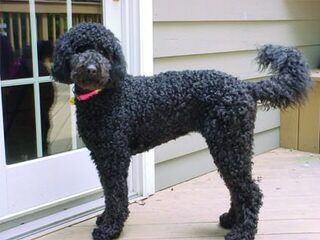 We have been exclusively breeding Labradoodles for the past 6 years. 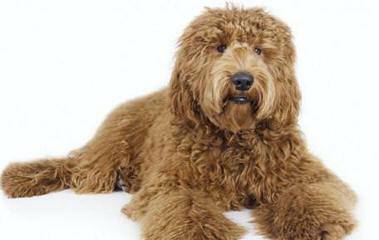 We know and love the this hybrid, the Labradoodle. We breed specifically for family companions and working dogs alike. We currently offering the Miniature and Medium Sizes of various generations from F1B, F2B, F3 and Multigenerational. We offer the colors of the rainbow, from ultra chalk to the beautiful true black. The puppies are hand raised from birth. While with us they begin learning socialization skills, gentle eating, leash training, and outside potty training as well as crate training. We firmly believe that a well trained, well socialized puppies can be a joy to have and we treat all of our puppies as if they were ours to keep. 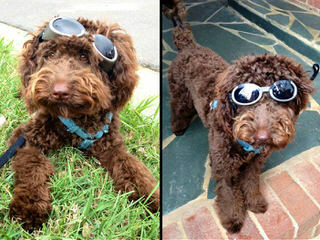 Breeder of Australian Mutli-Gen Labradoodles! Member of the ALAA. 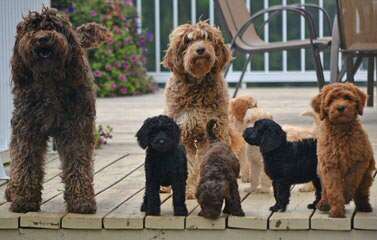 We are a professional in home breeder of Australian Multigenerational Labradoodles located in Pennsylvania convenient to Maryland, Washington DC, New Jersey and New York. 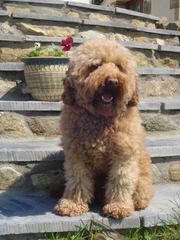 We are premier in home breeder of Australian Multigenerational Labradoodles located in Rhode Island. 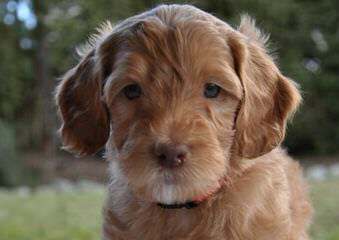 Labradoodle puppies are arriving April 12th, 2010! 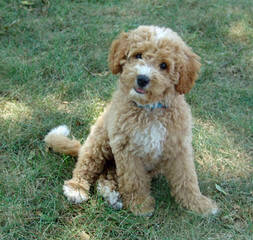 Standard Poodle And Labradoodle Puppies For Sale. Phone: Please email for quickest response. Fax: Applications being accepted now for Australian multi-gen litter! 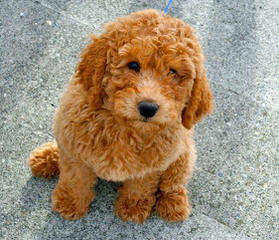 Southerncadoodles – We Are In California And Have Mini Red Pups Now! Fax: PUPPIES AVAILABLE NOW ! Fax: We Ship to all states.